Today SCHALLWELLENMAGIE is starting a new column called „Artists we like“. As you might guess this is the place where other artists than Don Genaro/Audiohobel and White Zone will be featured and you are absolutely right. We are starting with Klakast, her real name is Claudia Castagnola and she is living in Naples, Italy. Schallwellenmagie: Since when are you active as a producer? Klakast: I’m active as a producer for three years now. Schallwellenmagie: Who or what has most strongly affected you to make music and who are the artists with the biggest influence on your music? Klakast: I worked for a long time in various organizations which organized parties and i have a passion for electronic music. 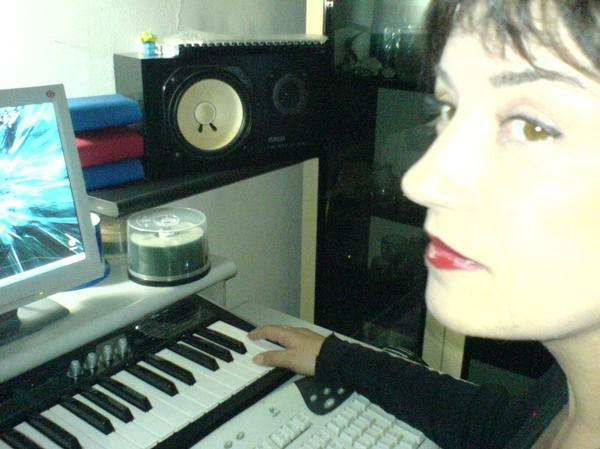 One day my dear friend Rino Cerrone gave me a PC and he explained me the basics for using Ableton Live and I started playing. The person who encouraged me and inspired me is Rino naturally. Schallwellenmagie: How long does it take you to produce a track and at what aspect of producing you spent most of your time usually? Klakast: To make a new track is not a challenge but a way to pass my music mentality. Sometimes the tracks are born in a very short time, sometimes I undertake several days. I dedicate all the time I can to play with my PC: I love creating rhytms and soundeffects. Schallwellenmagie: How difficult is it for you to find one point on which you can let stand a track how it is, without making changes again and again? Klakast: I decide that a track is finished when all the whole joint is smooth and pleasant for my ears. Schallwellenmagie: What can we expect from you in the near future? Klakast: The music is my drug I can not live without and I hope to give you nice surprises in the future! !